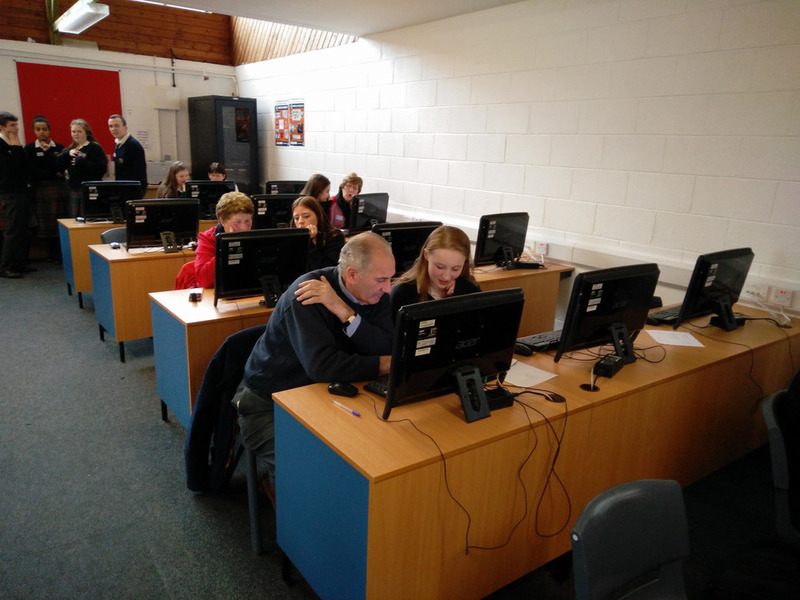 There was a tremendous buzz in the computer room today as TY students kicked off the ‘Log On; Learn’ programme. Over the next 6 weeks, they will work with local people who would like to improve their I.T. skills. The older learners started off by explaining to their student-mentors the areas in which they would like to focus e.g. using email, surfing the net, online shopping etc. They will also be on hand to show them how to get the most out of their phones. The programme is all about shared learning in a relaxed environment, building confidence, having fun and promoting community spirit.